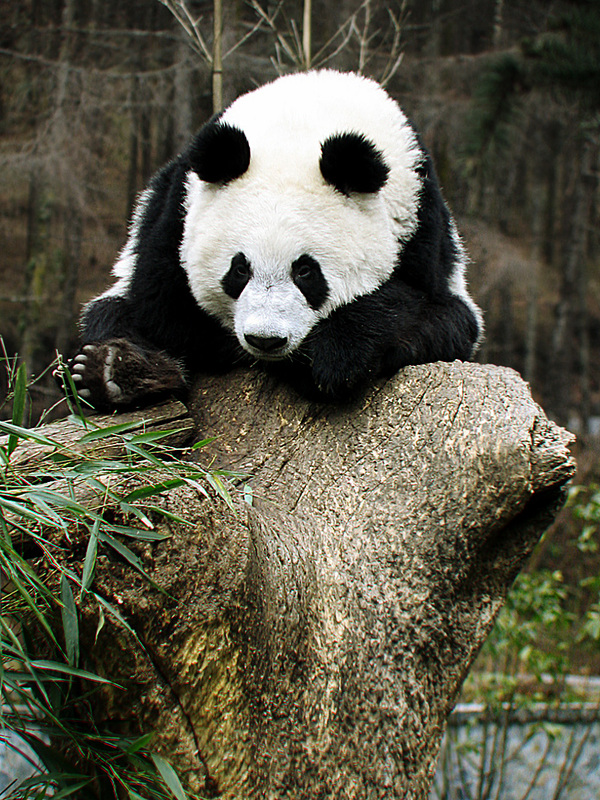 At the Wulong Panda Reserve, a tired Panda is yet another victim of food-coma. Although Darwin never specified in his "Origin of the Species", after seeing these bears play and frolic, I believe cuteness plays a major part in today's "natural" selection process. Panda bears are ill-fit to live in today's world, however, their adorable appearance and behavior has earned them a top place on the long list of species to be rescued from extinction. To drive this point home, they're even part of the official logo of the World Wildlife Fund (WWF).